ANTIBES, France (AP) — After a shaky start and a wave of negative press, the AIDS relief charity amfAR attempted Thursday to focus the spotlight on its work instead of the stain left by one of its biggest benefactors Harvey Weinstein. Jason Derulo dances as soccer fans wave their nations' flags in the new video for "Colors," which serves as Coca-Cola's theme song for the 2018 World Cup. 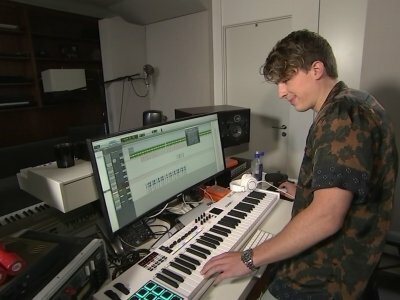 ATLANTA (AP) — Some of the nation's largest recording studios have joined forces in an effort to stop a music streaming service aimed at fitness enthusiasts from using songs by Beyonce, Justin Bieber, Green Day and other stars. In a federal lawsuit filed in Atlanta, Sony Music Entertainment and more than a dozen other record companies say Fit Radio illegally infringes on their copyrighted recordings "on a massive scale." IRVING, Texas (AP) — Three-time Grammy winners Zac Brown Band will perform the national anthem before the college football national championship game in Atlanta on Jan. 8. The College Football Playoff on Thursday announced the participants for its pregame festivities. Atlanta gospel choir David Walker & High Praise will accompany Zac Brown Band on the anthem and Carly Ortega, a 12-year-old Georgia native, will sign it. Ortega attends the Atlanta Area School for the Deaf. Detroit — Hey, Jason Derulo, watcha say about performing the Lions' halftime show on Thanksgiving Day? The multi-platinum performance artist says yes, it turns out, the Lions announced Monday, three days before the Lions host the Minnesota Vikings at Ford Field. Saxophonist Mike Phillips will perform the national anthem. 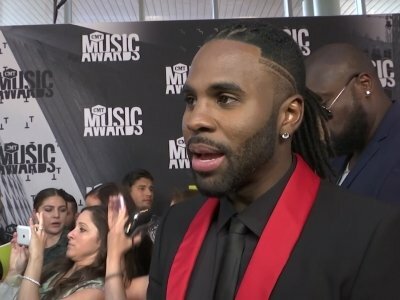 Jason Derulo and Liam Payne went head-to-head on 'Drop the Mic', with the 'Talk Dirty' hitmaker taking aim at his rival's physique, girlfriend Cheryl Tweedy and their son Bear. NEW YORK (AP) — Ludacris is hoping the new music competition series he's hosting on YouTube will take an aspiring artist and "catapult them to superstardom." 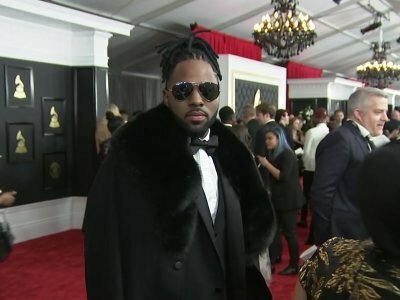 The "Money Maker" rapper is host of "Best.Cover.Ever," which pairs budding musicians with established stars for a shot at performing a duet on the online giant. The 10-episode series debuts Nov. 20 . Mariah Carey has been robbed of $50,000 worth of accessories. The 'Hero' hitmaker's Los Angeles home was targeted by burglars at around 3am on Thursday (19.10.17) and though they didn't touch her valuable jewellery collection, they made off with expensive bags and sunglasses. Sources told TMZ the crooks seemingly got in through a window or door on an upper floor, as a ladder was found in the back yard. JAson Derulo tickets winners at the Madison County Fair..
NASHVILLE, Tenn. (AP) — A list of winners at the 2017 CMT Music Awards, which aired live Wednesday from the Music City Center in Nashville, Tennessee. — Video of the year: Keith Urban, "Blue Ain't Your Color"
— Male video of the year: Keith Urban, "Blue Ain't Your Color"
Ashton Kutcher and Jada Pinkett Smith are to present prizes at this year's CMT Music Awards. LOS ANGELES (AP) — Jimmy Fallon's guests will include Vin Diesel, Shaquille O'Neal and Pitbull when his NBC late-night show airs from Florida next week. The "Tonight Show" host's four-night stand in Orlando celebrates the opening of Universal Orlando Resort's new 3D attraction, "Race Through New York Starring Jimmy Fallon." Other guests on the "Tonight" broadcasts airing April 3-6 include Blake Shelton, Scott Eastwood, Dwayne Johnson, Nicole Richie, Flo Rida, Jay Leno and Jason Derulo. Sundance Head, "The Voice" winner and New Caney native, and hip-hop artist Flo Rida have been scheduled to perform at Rock the Ranch Music Festival at the Valley Town Ranch Town Center amphitheater in New Caney. Head is scheduled to perform Friday, May 12, and Flo Rida is set to perform Saturday, May 13. The lineup already includes Jason Derulo on May 12 and the "I Love the 90s" tour, featuring Salt-N-Pepa, Vanilla Ice, All 4 One, Color Me Badd, Tone Loc and Young MC, on May 13. SPRINGFIELD, Ill. (AP) — The legendary country group Alabama and classic rock star John Mellencamp will be among the performers at this year's Illinois State Fair. Fair officials announced Tuesday five of the 11 headliners for the 2017 fair in Springfield. Alabama will play Aug. 16. The trio has 43 number one singles and nearly 200 industry awards, with hits including "Song of the South" and "If You're Gonna Play in Texas." Country music performer Neal McCoy will open for Alabama. 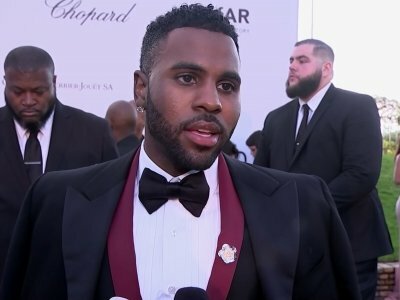 Jason Derulo wants a public apology from American Airlines after a dispute over baggage fees. The 27-year-old singer claims the airline "made amends personally" after he and his friends were charged $4,000 to check in 19 items of luggage. He told PEOPLE: "They've made amends personally, but haven't made amends publicly. BOSTON (AP) — Olympic swimmer Michael Phelps and actor Ashton Kutcher are among the sports stars, celebrities, business icons, musicians and fashion designers expected to attend the Forbes Under 30 Summit in Boston. The three-day event is set to begin Sunday and run through Tuesday. The summit is expected to bring together thousands of global entrepreneurs at different venues around Boston, including Faneuil Hall and campuses of Harvard Business School, Emerson College and Northeastern University. 2016 marks the 75th anniversary for Utah Valley University, and to celebrate, the university will bring Jason Derulo, American Authors and Rachel Platten to perform a concert Sept. 23 at the university's Brent Brown Ballpark. The concert, which is titled "UVUPhoria," also will include a fireworks show.